Thrillist is one of the most irreverant guides of where to eat and drink and where to go in cities across the U.S. In addition, they are a great source for telling us about fun events around town, from festivals to concerts and beyond. 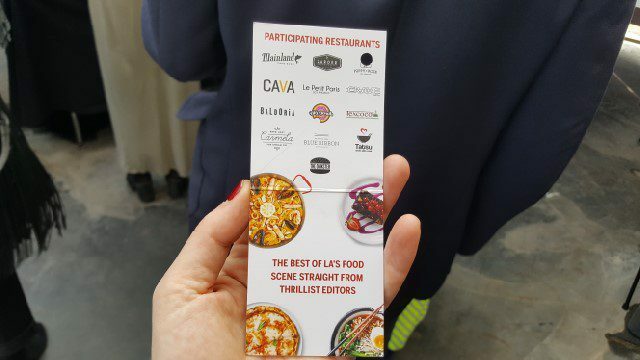 But this past weekend, they hosted their own food festival called Fest of the Best in LA. During a weekend afternoon, thirteen hand-picked restaurants were showcased for a few hundred Thrillist food-enthusiasts.